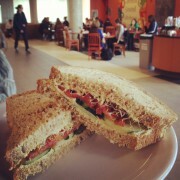 Common Ground is a popular coffee shop on Queen’s University campus, located on the second floor of the Queen’s Centre, and owned by your student government, the Alma Mater Society. Both the main location and The Brew are run by a staff and management team that is comprised entirely of students. This means that from the music to our menu, we know what students want and strive to exceed your expectations! Common Ground, or CoGro as it has been lovingly nicknamed, offers a menu of quality food and drinks at prices reasonable for your student budget. 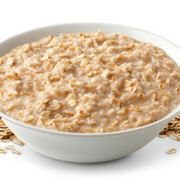 Not only is CoGro a delicious option for breakfast, lunch, or dinner, it is a wonderful place to hang out with friends between classes or meet up for study sessions. Common Ground’s atmosphere attracts a great mix of Queen’s students and our smiling staff will keep you coming back for more! 6 delicious types of bagels, with a self explanatory topping! 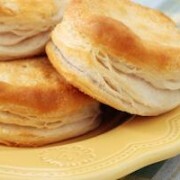 With 5 different types of bagels and 6 different cream cheeses, these are pretty popular! A cheddar bagel with our top secret cream cheese. They’re so popular, we can’t toast them fast enough! 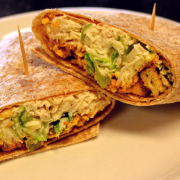 Caesar marinaded chicken, romaine lettuce, shredded parmesan cheese, and croutons on a whole wheat wrap. 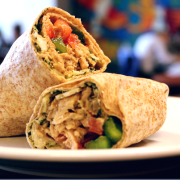 Balsamic marinaded chicken, green pepper, tomatoes, and mozzarella on a whole wheat wrap. Turkey, ham, lettuce, tomato, mayonaise and honey mustard on yummy multi-grain bread. 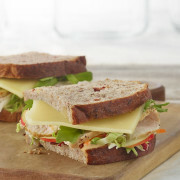 Turkey, cheddar cheese, apple, honey mustard, and mayo on our yummy multi grain bread. 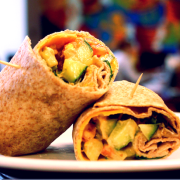 Southwest marinaded chicken, avocado, red onion, red pepper, tomato, lettuce and a four cheese blend on a whole wheat wrap. 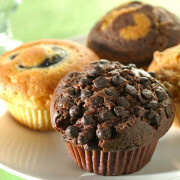 A daily selection of locally baked tea biscuits, muffins, and more! Something hearty to go with your drink. 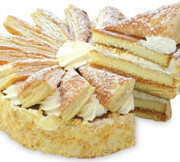 Our delicious daily selection of La Rocca cakes, varies based on customer demand, but our options are endless! 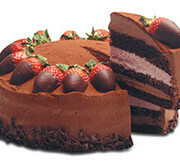 Layers of moist chocolate cake intertwined with light and fluffy strawberry and chocolate mousse and topped with a dusting of cocoa. 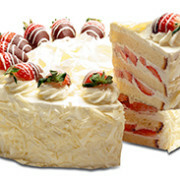 White sponge cake layered with a mixture of deliciously ripe strawberries and fresh whipped cream. Topped with white chocolate, and chocolate dipped Strawberries. 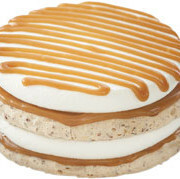 Layers of puff pastry and sponge cake are delicately placed between authentic dulce de leche filling and 35% whipped cream, topped with crisp puff wedges. 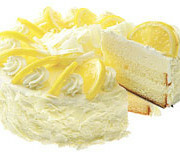 Zesty lemon mousse surrounds layers of light white sponge cake. Finished with 35% whipped cream, white chocolate shavings and fresh lemon wedges. Creamy cheesecake, with a hint of vanilla, is cradled in a shortbread crust and covered with a delicious blueberry topping. Rich walnut brownie base baked with a creamy vanilla cheesecake. 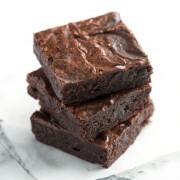 Topped with dark chocolate ganache, our homemade brownies and buttery caramel. No-bake cheesecake, blended with Oreo cookie pieces, sits sandwiched between two layers of devil’s food cake. Finished with a dark chocolate glaze and Oreo cookies. 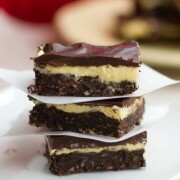 Layers of Belgian chocolate chip banana cake sandwiched between creamy milk chocolate truffle. Covered in a special recipe cream cheese icing. 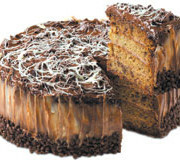 Creamy milk chocolate truffle and buttery caramel are spread on each layer of milk chocolate sponge. 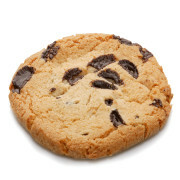 Coated with Belgian chocolate chips and a blend of chocolate and caramel. Three layers of decadent chocolate fudge and chocolate devil’s food cake topped with chocolate icing and chocolate ganache. Yellow Lentils, Wheatberry, Couscous, Spelt, Brown Rice, Curry Vinaigrette, Mung, Navy, and Black Turtle Beans. 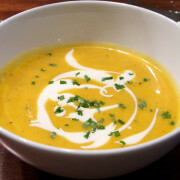 Butternut Squash & Soups of the Day. 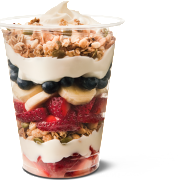 Yogurt & Granola (optional fruit topping). Hummus, Sprouts, Spinach, Tomato, Cucumber, Cheddar Cheese, and Honey Mustard. Chicken, Parmesan Cheese, Croutons, and Lettuce tossed in Caesar Dressing. Balsamic Chicken Pesto, Mozzarella Cheese, Green Peppers, and Tomatoes. Southwest Chicken, Avocado, Tomato, Red Pepper, 3 Cheese Blend, Red Onion, and Lettuce. Turkey, Ham, Cheddar Cheese, Tomato, Lettuce, Honey Mustard, and Mayo on Multigrain. Turkey, Apple, Cheddar, Honey Mustard, and Mayo on Multigrain. 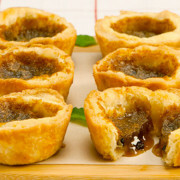 A sweet baked treat that goes perfectly with tea. 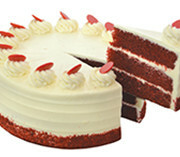 A classic west-coast dessert from Nanaimo, BC. Get an Exam Sized Coffee for only 30¢ more! Peach, Plain Yogurt, White Chocolate, and Caramel. Banana, Plain Yogurt, Chocolate, and Raspberry. 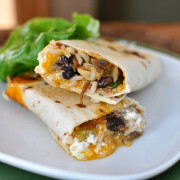 Want to inquire about our catering menu? No problem! 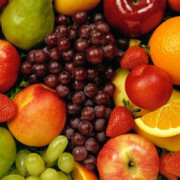 Send Cassandra an email and she’ll get back to you as soon as she can! Want to inquire about hosting an event in our space? Just send Laura an email she will get back to you as soon as she can!